One of the most exciting and unusual collections at the Gardens is nestled inside a small, specially constructed building. There’s no other collection like it, anywhere in the world. Here, plants from Sub Antarctic islands in high southern latitudes are displayed in a climatically-controlled environment, where chilly fogs and mists mirror the wet, cold conditions of their remote homes. The Sub Antarctic Plant House displays a selection of the flora of the Sub Antarctic region, with the emphasis on the plants of Macquarie Island.The plants of the Subantarctic Plant House have been collected by Gardens staff and associated scientists on field trips to Macquarie Island. 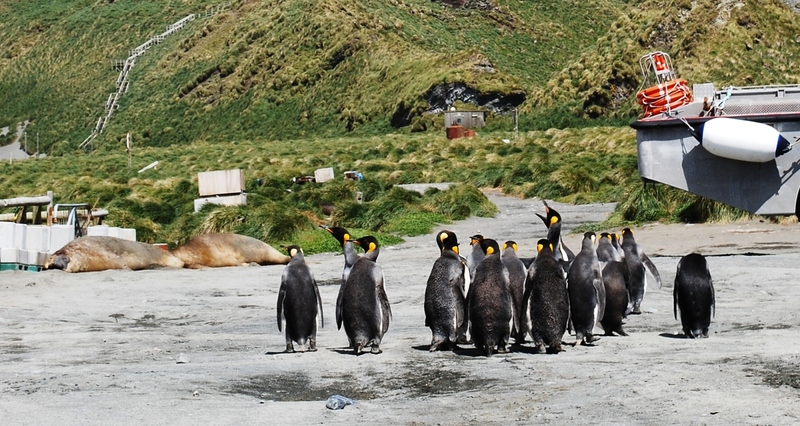 An immersive audio sound-scape of the Macquarie Island environment adds to the illusion of traveling to this remote region and visitors will hear the sounds of wildlife from the Island, including elephant seals, penguins, albatross and skuas, as well as the ever-present wind and rain. Constructed with significant financial assistance from the Australian Antarctic Foundation, Hobart City Council and the Friends of the Royal Tasmanian Botanical Gardens, the Sub Antarctic Plant House opened on 13 October 2000. The house was designed to replicate the appearance and environmental conditions of Macquarie Island and also to act as an experimental house for the cultivation of the plants from this region. The curved inner walls are painted with a mural depicting the various environments of the island, while the landscape has been recreated using plants, mosses and rock collected from Macquarie Island. Take a look around the Garden as a virtual tour. Click the image below and click the arrows to move. 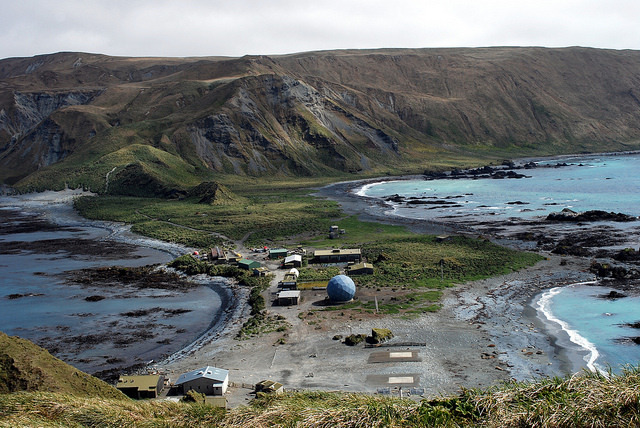 An important role of the RTBG is to continue to promote the Sub Antarctic region through the medium of the Sub Antarctic Plant House and associated conservation projects.The RTBG currently undertakes research to determine the germination requirements of a variety of Sub Antarctic species, primarily from Macquarie Island, and continues to hold stocks of plant material for cultivation and external research programs. Nekon Pty Ltd has provided significant funding and support to the RTBG enabling the installation and set up a solar energy system for the Gardens. This system will focus on providing clean renewable energy for major attractions such as the Sub Antarctic Plant House. The result of Nekon’s contribution is a significant reduction in the running costs of a number of the Gardens collections.